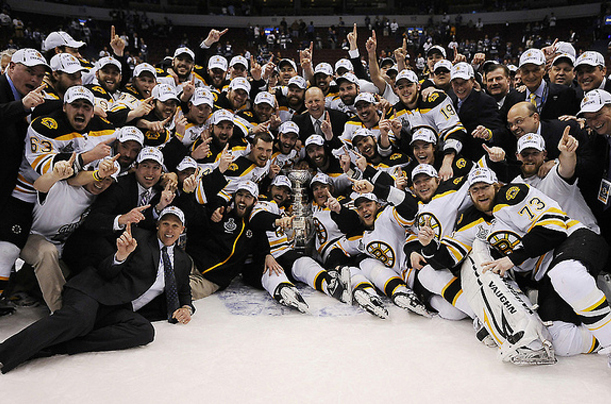 The Boston Bruins won their sixth Stanley Cup after defeating the Vancouver Canucks in a 7 game Stanley Cup Final back in June 2011 and now just a few months later, they will try to defend the title they took 39 years to win. The Bruins may not have been a firm favourite as the post-season opened in April, but they would emerge from an 0-2 hole against the Montreal Canadiens in the Quarter Finals to win Game 7 4-3 in Overtime, then sweept the Philadelphia Flyers in emphatic fashion in the Semi Finals, before winning Game 7 of the Eastern Conference Finals 1-0 on the back of goaltender Tim Thomas and therefore the series against the Tampa Bay Lightning 4-3. 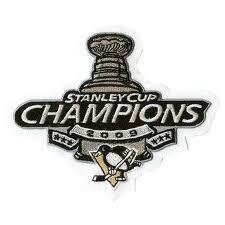 They then beat the Canucks in the Stanley Cup Finals after falling behind 3-2 in the series entering Game 5 in Boston. The Bruins won Game 6 5-2 and then the deciding Game 7 4-0 to clinch the Stanley Cup. Check out the Fantasy Hockey Draft Review for the Sydney Kangaroos. Here is how CBC wrapped up the 2011 Playoffs... and below a fan made tribute to Boston's victory. The new 2011/2012 season opens Thursday October 6th and despite being the defending champions - the Boston Bruins will not open the season as favourites. That honour goes to the Alex Ovechkin-led Washington Capitals at $8.00 - The Caps have underwhelmed almost everybody in their past four trips to the Playoffs, yet remain the bookies' top pick for the silverware in 2012. They have made another change in goal with Tomas Vokoun but their title chances come down to how the Big Four of Ovechkin, Mike Green and the playoff shy Nicklas Backstrom and Alexander Semin perform once the real season begins. Next in line are the Canucks at $9.00 - Vancouver won the Presidents' Trophy as the best regular season team but were beaten by Boston in the Finals. They have the dominant duo up front of Daniel and Henrik Sedin, a solid blueline and a great goaltender in Roberto Luongo - so they will be in the race. Then the Pittsburgh Penguins at $11.00 - The Pebs get superstar Evgeni Malkin and (probably) uberstar Sidney Crosby back after both missed the second half of the season last year (the Penguins still made the Playoffs) and will be planning on returning to the summit of the hockey world once again. They won the Cup in 2008/2009 and lost to Detroit in 2007/2008 with the core of Crosby, Malkin and goaltender Marc-Andre Fleury - so (health permitting) they can do it all again. The Philadelphia Flyers are also at $11.00 - they underwent the most drastic roster change of any team by blowing up their forward core to solidify their goaltending - Ilya Bryzgalov better be worth Mike Richards and Jeff Carter's departure. Oh and they signed Jaromir Jagr... but he's now 39, not 29. And rounding out the Top 5 are the Bruins at $12.00 - there are two notable changes in Bostin with the retirement of veteran Mark Recchi and the latest likely career ending concussion to Marc Savard. But Tim Thomas and Zdeno Chara are still around and the Bruins are very high on backup goalie Tuukka Rask. Oh and they won the Stanley Cup in June. From outside the Top 5 here are 5 more teams that could certainly contend for the Stanley Cup. The San Jose Sharks at $13.00 - promised to contend for a Cup for what seems like a decade... and in fact it has been, they've missed the playoffs just once (in 2002/2003) since 1997-1998 and have yet to advance past the Conference Finals. Still Joe Thornton and Patrick Marleau with new boys Brent Burns and Martin Havlat should give it another big shake. The Detroit Red Wings at $15.00 - perennial contenders who actually win it from time to time (so they are not the Sharks) enter the final season of Nicklas Lidstrom's career and still have stars in Pave Datsyuk and Henrik Zetterberg. But the window may be closing on this current group... heck they haven't been to the Cup Finals the past two seasons! The Anaheim Ducks at $26.00 - They won the cup back in 2006/2007 as a young team with the likes of Chris Pronger, Scott Niedermayer and Teemu Selanne driving them and now that young core of Ryan Getzlaf and Corey Perry looks set to get the Ducks back into contention. The health of goaltender Jonas Hiller (post-concussion syndrome) is vital, while Selanne is back for one last crack alongside veteran Saku Koivu and another scoring threat in winger Bobby Ryan. One key question is can last year's 68 point defenseman Lubomir Visnovsky can replicate those numbers? 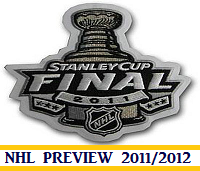 Who is your pick for the Stanley Cup and who is a dark-horse we have missed? Comment below. NHL VIDEOS... some YouTube gold from the professional sports league that doesn't pull posted hockey content and in fact embraces it. Ok one more... the music starts off well but goes south. Still a good review of the Bruins' playoff campaign right to the end. Enjoy your NHL this season... a Fantasy Hockey Draft recap is here.